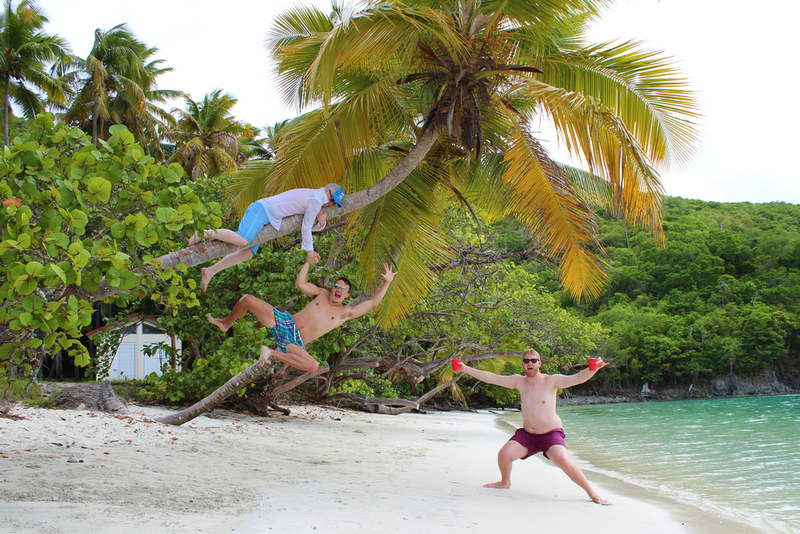 If you follow me on Instagram (@tmkampa) then you know I was in St. John, USVI for the past 9 days. Bryan (my fiancé) and I decided to do our engagement shoot there because we are both obsessed with the island. We brought along our friend/photographer Anna Grace and her husband Kevin. I can't wait to share the photos she took of us while we were there! 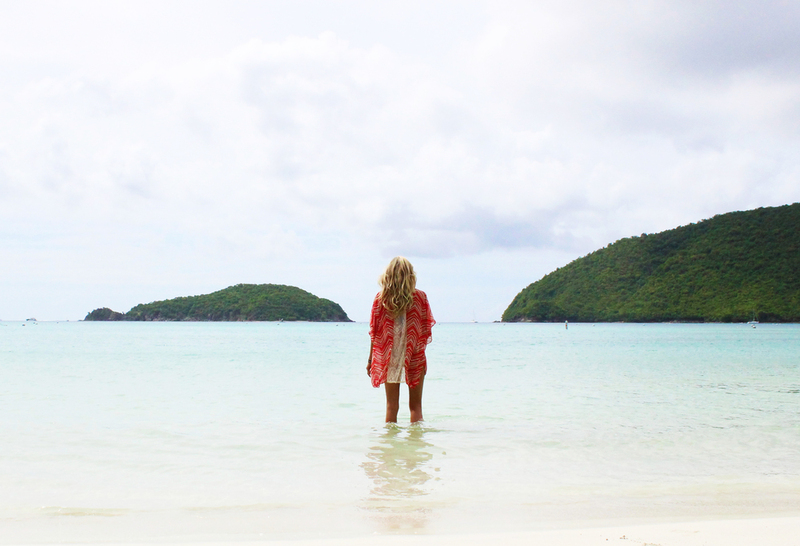 St. John is my absolute favorite island. Everything about it is just wonderful, the beaches, the restaurants, the colorful buildings in downtown Cruz Bay, even the roads are cool (they are insanely steep). Since this was my 7th (or 8th, I can't keep track) time down there I thought I would create a list of all of my favorite places! Who knows, it could come in handy if you ever decide to travel there, which you should! The past two years I have been staying with Bryan and his parents in their new penthouse condo, Blue Coral. It is located walking distance from downtown Cruz Bay and is absolutely breathtaking. The space is huge, it can sleep 8 people comfortably, has a large open kitchen, open sitting area with tall ceilings, flat screen TVs, two balconies and gorgeous views. One of my 4x4ft abstract paintings is also hanging in the main room (woohoo!!). They rent the condo out all year long. If you are interested in learning more about Blue Coral, feel free to check out their links below! Before the Olson's got their new condo, we would stay in Battery Hill. Situated on a hillside only a short walk from downtown Cruz Bay and a street over from where we stay now. The views of Cruz Bay are amazing from this place, the units are privately owned and very beachy. There is also a pool! 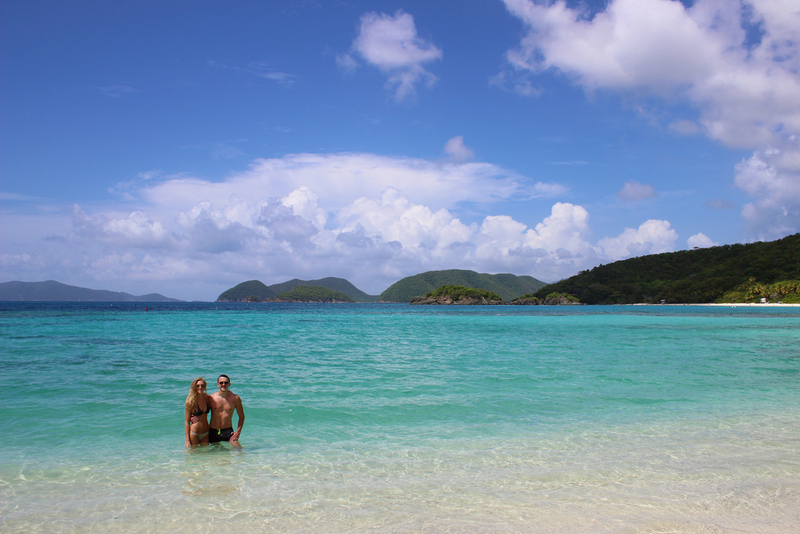 The first time I ever traveled to St. John with Bryan we stayed at Cinnamon Bay. You can rent small beachfront "villas", or rent a space to set up camp. We rented a villa at the far end of the beach so it was more private. The villas are one room units, two of the four walls are screens, there is a fan, mini fridge, and four twin beds. It is basically glamping (glamour camping). You have to walk a ways to get to the bathrooms and showers but waking up, rolling over, and seeing the ocean only 10 feet from your bed is a really cool experience. 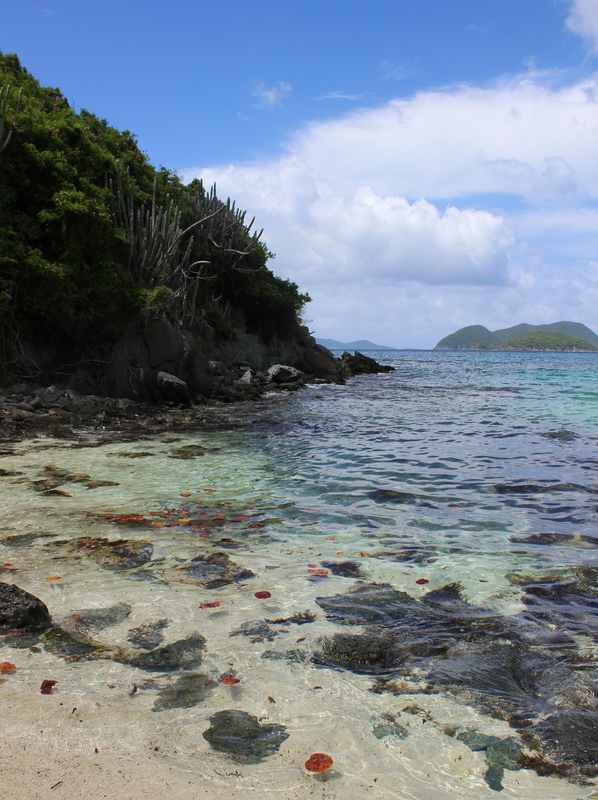 There are also two resort options, The Westin and Caneel Bay. I have never stayed there, but I have visited both properties and they are beautiful. 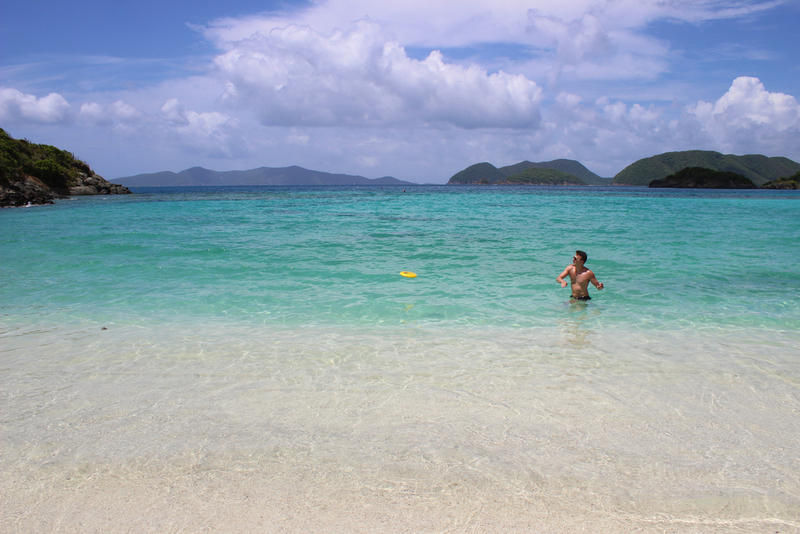 MAHO BAY - I love this beach. It's a little over 5 miles from Cruz Bay, has crystal clear water, lots of space, and convenient parking right next to the sand. 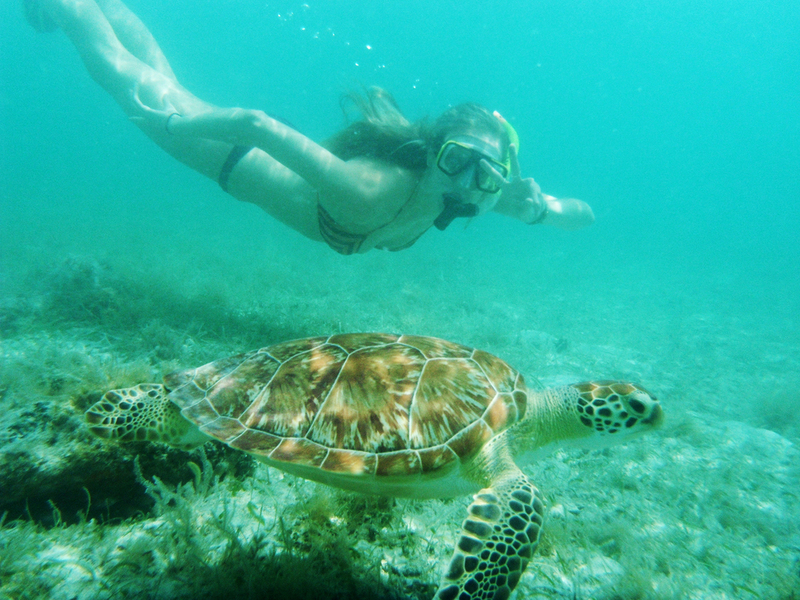 If you enjoy snorkeling go to this beach because you will most likely see SEA TURTLES!! 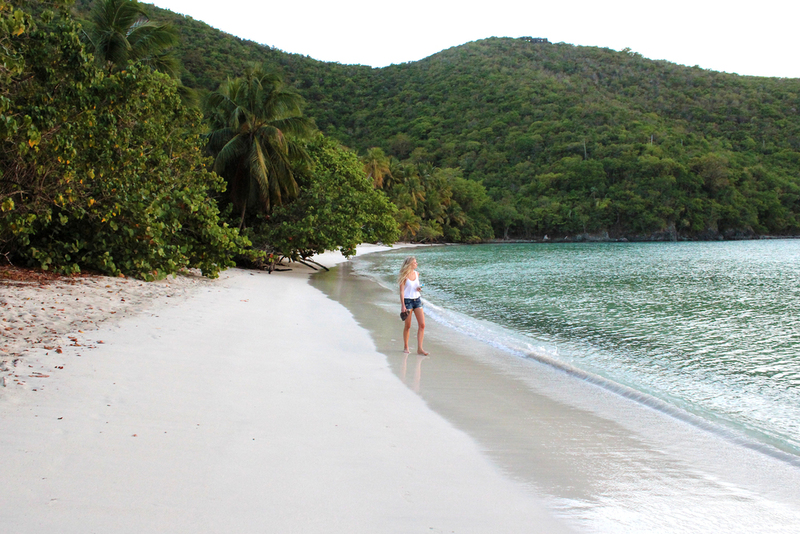 CINNAMON BAY - My other favorite beach. 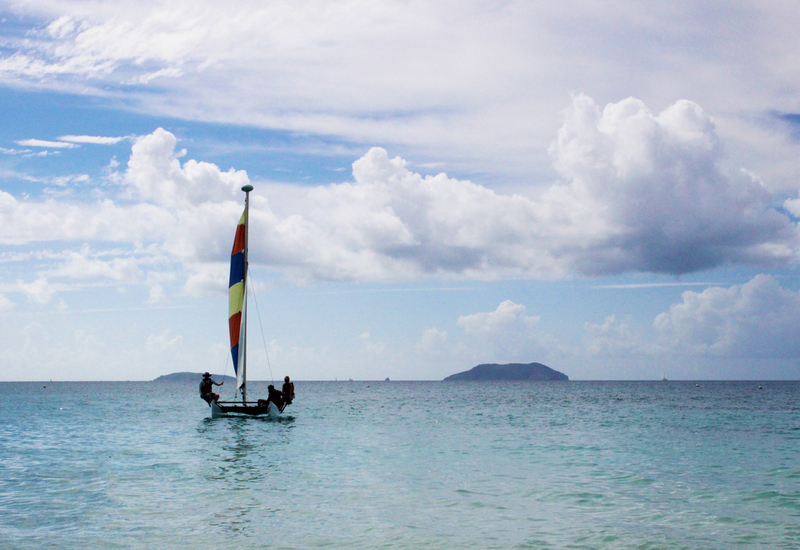 It's about 4 miles from Cruz Bay and offers lots of beach activities and water sports. 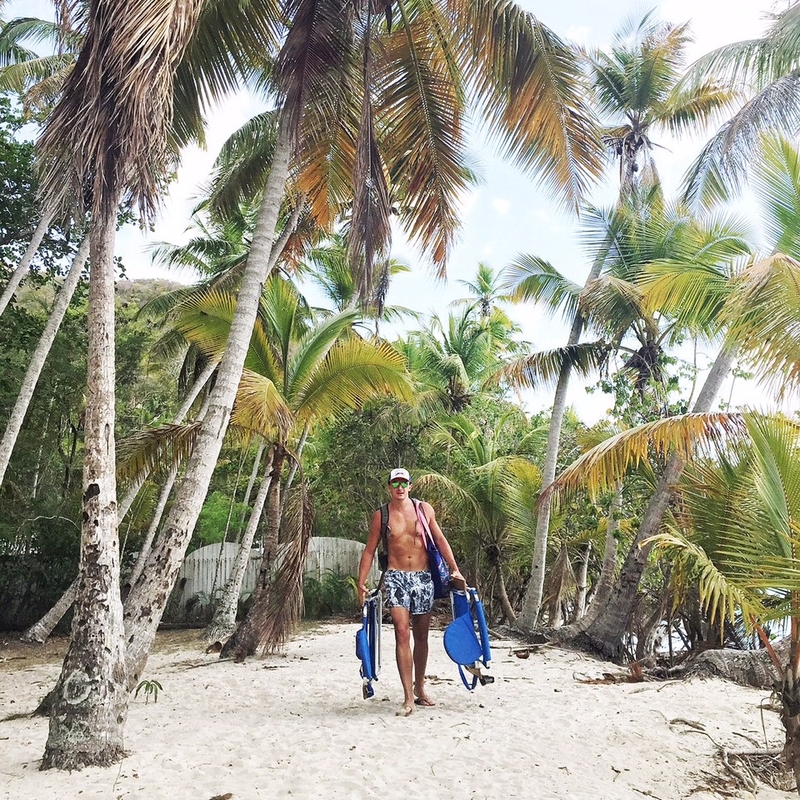 There is surfing, kayaking, paddle boarding, sailing, windsurfing, volleyball, and camping. They have changing rooms, showers, bathrooms and picnic tables for all to use. Such a great beach. You can also camp there (like I mentioned above)! JUMBIE BAY - A much more private beach. It's 2.5 miles from Cruz Bay and has a small parking area (about 6-7 parking spots) on the right side of the road. Once you cross the street there is a small hike along a trail to get to the beach. 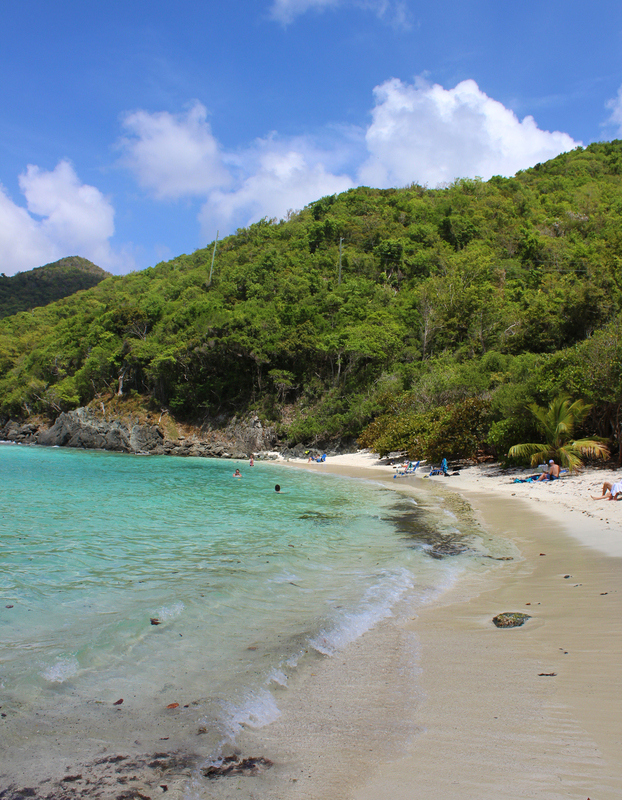 TRUNK BAY - The only beach where you have to pay an entrance fee. 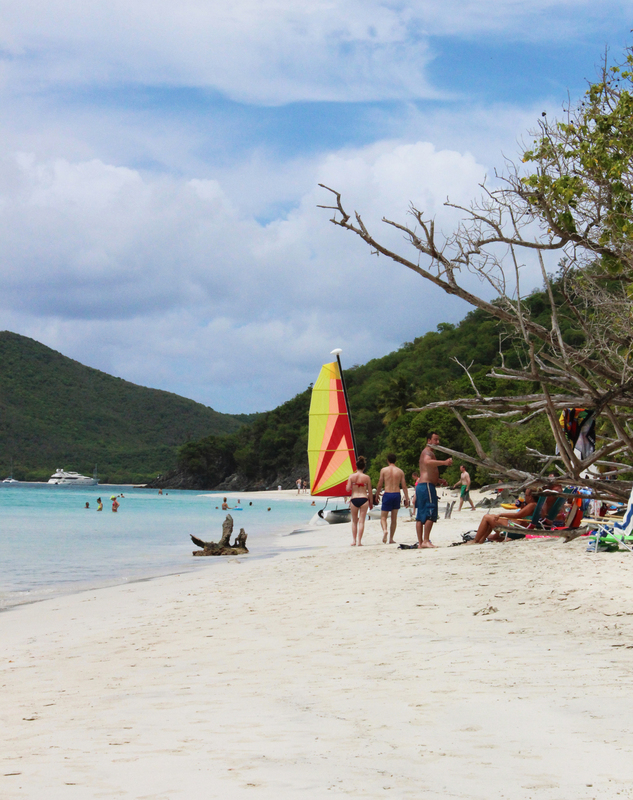 It's about 3 miles from Cruz Bay and most tourists go here because it's St. John's iconic beach. We tend to avoid it because all the other beaches are less crowded and free! Make sure to stop at the overlook though, it's amazing (I took the photo above last year). 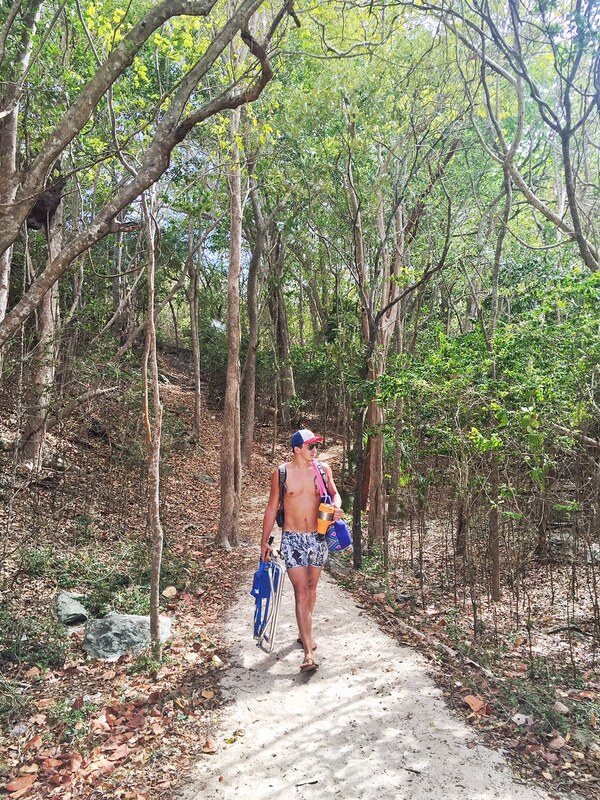 HAWKSNEST - Only 1.8 miles from Cruz Bay, this beach is convenient and beautiful. It has pavilions, pit toilets and changing rooms. The snorkeling is amazing when the water is calm, lots of fish and coral reefs! You can also swim over to Oppenheimer beach where there is a tire swing! OPPENHEIMER - This trip was the first time I have ever been to Oppenheimer. It has a cool tire swing over the water, a pavilion you can rent out for private events and lots of beach space. There are only 3 spots to park to get to the beach so I was pumped when we drove by and saw there was a space available! FRANK BAY - This beach is not apart of the National Park (with most of the island is), so you are allowed to fish there. It is walking distance from Blue Coral (where I stay) and downtown Cruz Bay. It is a rocky beach on one side and a great place to sit and watch the sunset. SALT POND - Located on the Coral Bay side (the desert side, so more cactus and less palm trees). Beautiful beach! You have to hike down a rocky path, so if you have a lot of stuff use a wagon with big wheels to haul all of your stuff down there - you will thank me later. Ram Head Trail also starts there, which I have not hiked yet but apparently has incredible cliff views. THE BEACH BAR - Located right on the water, the Beach Bar has great food and live music almost every night. The prices are good and you can sip on a cocktail with your feet in the sand. I recommend treating yourself to a bushwhacker and some nachos! They have a great website, check it out here! THE LONGBOARD - Brand new place! This beautifully designed restaurant has an awesome happy hour from 3pm-7pm, specialty frozen painkillers (yum), and really good food. Everything is very fresh. The prices are great too, not expensive. JOE'S RUM HUT - Located on the waterfront. Good food, moderately priced. I had the Cobb salad and it was great. Next time I'm getting the pizza because it looked gooooood. Check out their website here! BANANA DECK - Overlooks the water. Great good, moderately priced. Check out their website here! THE LANDING - BEST BREAKFAST AND BLOODY MARYS!!! I have only been there for breakfast (which is my favorite meal) and it is the bomb. Bryan got the crab cake bennies 3 mornings in a row and I had the florentine bennie one morning and their breakfast sandwich with sausage patties the other mornings. Both delicious. I'm hungry just thinking about it. Check out their website here! WATERFRONT BISTRO - On the waterfront, incredible sunset views, delicious food and dessert. It is more on the expensive side but so worth it. Date night! Check out their website here! THE TERRACE - Great happy hour with oysters and other seafood. Check out their website here! HIGH TIDE - On the waterfront, right next to the ferry port. Awesome appetizers that are large enough for a meal. Check out their website here! RHUMB LINES - Tucked away in the middle of town. This trip was the first time I have gone there. I got their ultimate pad thai and it was spicy and amazing, very large portion too. Check out their website here! VIRGIN FIRE - Great happy hour!! Located in Mongoose Junction. Check out their website here! VISTA MARE - Brand new place. Located above The Rum Hut with amazing views of the water and St. Thomas. Italian food, kind of pricey but very tasty. Check out their website here! 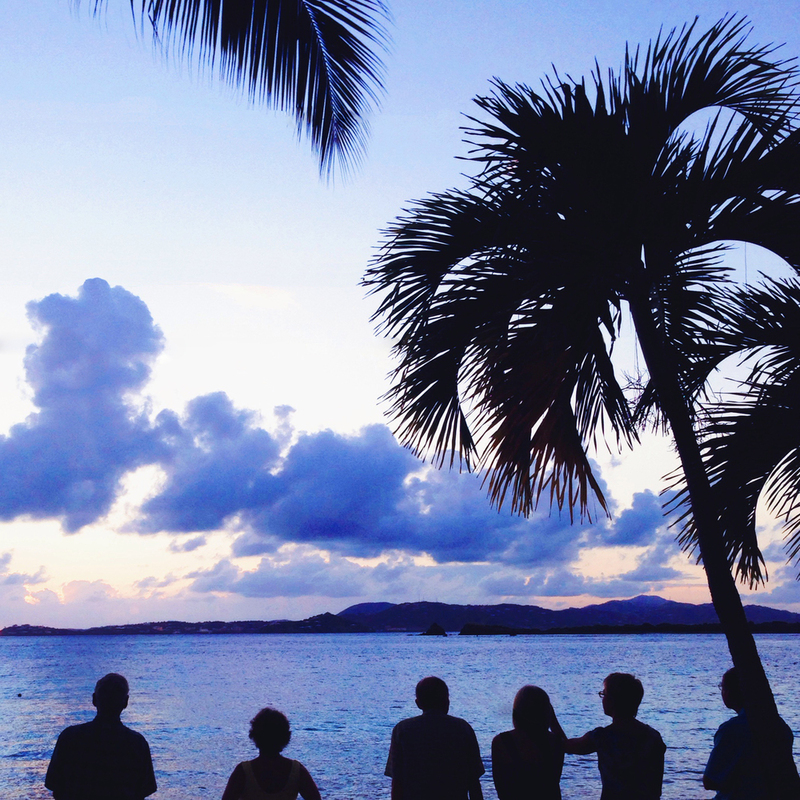 ZOZOS - Located at Caneel Bay. Very expensive but with the most gorgeous view you could image. If you want to treat yourself go here during sunset, it will not disappoint. Check out their website here! MISS LUCYS - Great for Sunday Brunch! They have live music and great food. Known for their Grouper Reuben. Reasonably priced and right on the water. Nice place to go if you are headed to Salt Pond or Lameshur Bay. SKINNY LEGS - Great burgers! Awesome atmosphere, lots of games to play while you're drinking a beer waiting on your food. Also has a great store. Absolutely go here if you are on the Coral Bay side. Check out their website here!